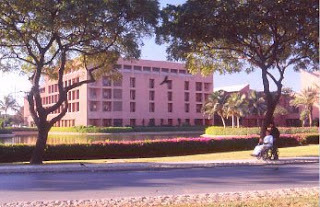 Aga Khan University is a big name in Pakistani Education sector specially in Karachi. Aga Khan University is operating all over the world including United Kingdom, Afghanistan, Syria, Egypt, Uganda, Kenya, Tanzania. AKU can be called a medical university because Its major programs are in medical and nursing. I never visited AKU but feel like sharing some information about this Institute as till now I have only reviewed institutes from Lahore mostly. This is not gonna be my regular format review but just a piece of information for my readers especially from Karachi. I was telling about AKU, got charter in 1983 AKU is a private institute which is run by Prince Karim Aga Khan, A personality who is so much famous and a well-known all over the world. Lets come back to University, since its incorporation AKU is providing state of the art teaching and research facilities to its students. AKU has Medical Colleges, Nursing Schools, Institute of Educational Development and a examination board. Aga Khan University School of Nursing was the first academic component of AKU which was established in 1980. Since its establishment AKU-SON and trained more then 2000 nurses who meet international standards and are serving the Nation well. The school offer several programs including a 3-year diploma programme and Pakistan's first ever 4 year BScN and 2 year post RN BScN and MScN programme. With a state of the art campus loaded with latest equipment AKU is running a Medical college which was established in 1983 with offers of 5 year bachelors program of Medicine and Surgery. Back in 1996 Aga Khan University introduces a Masters programme in Epidemiology and Bio statistics. At this time college is providing PhD in Health Sciences with independent research facilities and latest technology. Having a strong Medical background AKU established a Hospital back in 1985 named as Aga Khan University Hospital. This is a non profit hospital which provide financial assistance to the its patients but for me this is a kind of experimental house for AKU's nursing and medical students as they can give practical practice to their students. After gaining success in Medical field AKU jumps into the Development of Education by establishing Institute of Educational Development in 1990. This institute is started with an aim to promote educational system in Pakistan as well as in other under-developed countries of world. Institute offer both professional and non professional programmes including PhD and Masters programme. Aga Khan Board remains in headlines for a long time for its conflicted courses and other unknown aspects but now it is operating both in Secondary School Certificate and Higher Secondary Certificate. Another Institute of AKU is Institute of Study of Muslim Civilization but I am not mentioning it here because it only operates in UK. And here in this post I am only summarizing campuses located in Karachi and Hunza. Official website of Aga Khan University is HERE. 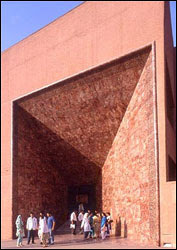 The Aga Khan University is one of the famous universities in Pakistan. Lots of the people desire to take their admission in this university due to the study standard but topessayservicesau offering really amazing materials. You write so well about the study standard of this university and use the good words.